68 stories that will inspire you to bless a child's life. Do you remember that one moment (or maybe there were several) that changed your life when you were a child—and shaped part of who you are today? Does it bring a smile to your face? Tears to your eyes? A wistful gaze back through time? We all have those stories and we can all, now, make those stories happen! All it takes is one moment out of your busy day, and you can be that someone in the life of the very next child who comes across your path. It may be your own son or daughter. Or perhaps it’s the child down the street playing soccer. Or maybe it’s the one having a meltdown in the grocery store. 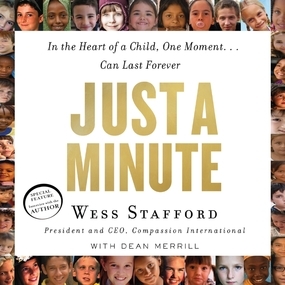 Listen on for story after powerful story of lives changed because someone took just a minute to really connect in the life of a child. Stay alert—you never know when your opportunity will come.